This is a picture I took from Mt. Redoubt in Alaska quite a few years back. So beautiful flying through those mountains! What do you know? It's warm enough for me to fish, today! I love this time of year! It's time to fish for steelhead, but if you aren't careful, you'll hook a chrome bright salmon, by accident! The only problem is that I'll be fishing with my lighter rods, so I have to cut them off and lose my jig. I really don't mind, though, as the bite is the most fun! Not only is it too much on me, physically, to play a salmon on an 1143 or my Lamiglas XMG50, but it's really tough on the salmon, too. What a Christmas surprise, though, to feel the take of a slow, head shaking salmon, pulling down on your rod! I want that! I want that right now! It's worth losing a jig for, in case that happens! Come to think about it, you could catch just about anything in the Kilchis, right now. Chinook, silvers, an accidental chum, (be careful with these ditch pickles! ), or a hatchery or wild steelhead! So.... I'm going fishing! -Heck with writing about it! If God wants me to fish more and stress less, He needs to give me half a chance. Three casts into a very fishy looking riffle and I hung up on a limb. I gently tugged and pulled. I did the "limb tickle" that Jim Erickson taught me. Nope. I lost my jig and most of my leader. Of course, I hadn't come prepared for that. My pockets were empty. So, three casts is all I got, and back to the house to refresh my coffee. Willie the springer was not pleased! OK, so I should have come more prepared, but as I walked out of the garage, I said to myself, "Now, why don't I do this every day like I used to?" It was so easy! Jig fishing is easy. So easy! No messing with bait, no changing weights around for this flow or that. It's just easy! I'm ashamed of myself. I nearly slapped myself, thinking that it was a hassle to go fishing. I scolded myself, all the way back to the house! I really am my own worst enemy. "Self!"! I said to myself. "If this is the worst it can be, try living in the city, having to load up your truck/car, all the while, wondering if you are forgetting anything. Then, drive all the way to the coast, get out, put your garb on, grab a huge tackle bag of gear, hope a hundred people aren't fishing in that hole, and two hours later, you are fishing. I live right here! Feet from the river! I'm a pocket fisher girl. I don't carry a tackle bag very often. I simply stuff jigs and scent and shrimp in the pocket of my pajamas or my robe, and off I go! I slip on a pair of hip waders and I'm off! I don't want to take the time to really get dressed. Who wants to take a shower, and then get all fishy? Instead, a shower after fishing seems more practical. Not many fisherman on the Kilchis river, so I most often fish in solace. Bam. It hit me again. "I fish in solace" I'm spoiled! Really, really spoiled! So, knowing that I realize that, that if anyone should, I should wear a shirt "I DO GUILT" How? Why am I not fishing, like I used to? I still enjoy the river with my entire being. Sometimes I simply sit and stare at it, in wonder. I walk beside it as far as my legs allow. Sometimes I sing at the top of my lungs. No one for miles, around! If I see a fish, I get the same thrill, as if it were on my line. Is it that weird thing that happens to some of us, as we get older? I've heard this over and over, but people say that the older they get, the harder it is to bonk a fish. I don't know if that's it, really. I just don't know. I haven't caught a fish lately, to test that theory! But, I think I could bonk, no problem! It's part of the excitement of the whole thing. But, I know that I have not lost any of my appreciation for water. When I walk on the river, words come to me, -music comes to me, and I have often to stop, pull out my phone, and record a clever phrase or a melody that haunts me, that I'm afraid I'll forget. The river is the basis for my creativity, just as it has been. But, absent my fishing, I was thinking there was something wrong with me. I have been praying at night that the fishing Gods would really grab me, again. You know, the God that makes you think about nothing but fish. Dream dreams of 'bobber down', like I used to, where I'd jolt awake, sitting straight up in bed. Everything- fish, fish, fish! Whatever happened to that craziness that I laughed at, but really enjoyed having? Is it called youth? The absolute best pictures of me are with fish. That's because I have a genuine smile on my face. An effortless joy! Give me a fish that I caught and take a picture! Magic! No editing needed! Any lines or signs of aging disappear! The same with Bill, really. I take pictures of Bill holding fish, and he is the most handsome young man in the world! He is charming, holding up those big, bright, purple-hued-with a tint-of-blue- salmon! I hung up my rod inside the door on the table where we put the accessible rods. The ones that we know we'll use in the immediate future. I filled my coffee mug, saying to myself that I just wanted one cuppa, before heading back out with a new leader, new jig. It was for those (silly) things lacking, that as I headed out the door, I grabbed my duck chair and Willie's flashlights, instead of fishing gear. I had talked myself out of any confidence in my cast. And off we went, to the river. The dogs were more than pleased with my choice, and it was contagious. Willie's crazy wagging tail, and wild running with Rev made me laugh out loud. When I grab my fishing rods and head to the river, they get excited, but if I grab my chair, it's all out chaos. They know they'll have my direct attention! I'm sure people think it's weird that I sing by the river, but God puts those songs there. And out came "Praise God from whom all blessing flow! Praise Him, all creatures here below!" I fished. My prayers from earlier were answered, as always. God doesn't care if I bonk fish. He cares that I appreciate the land and river that I have been blessed with, and He cares that I take care of it. Oh! And I do, and I do! It does, however, make it much more challenging to write a fishing column!!! I took most of the day off, and came back to realize that we have a winner! Tcox19 is the winning designer of the 2015 Kwikfish contest! Our new kwikfish is the Fin Collector! Click to see it, here! Stay safe, today in that wind that is forecast. I wonder if it will really happen. We just never know, do we? Just stay safe! Anyhow, play along by telling me how many you think you want, HERE! I had the most AWESOME Christmas experience, yesterday! Long story, so I'll let you read it, here. I love my ifish family, so much! I have SO much to be thankful for!!! I cried sad tears, and happy tears, and sad tears and happy tears all day long! I can't tell you how much I have learned about owning a home. My conclusion is that I cannot afford it, nor do I like it! All I do here is work, work, repair and work! I want to come back home, Bill! I'm so glad he let me learn my lesson. Home ownership was on my bucket list, but it's checked off, now! LOL! Have a great day, and stay indoors and out of that nasty wind!! See, the deal is, Christmas is ten days away. Do you want to know something crazy? I have not ONE real present purchased. OK, I take that back. I guess I do, but nothing for my immediate family! Can you believe that? I have a gift for the gift exchange that my entire family has on Christmas day, but nothing... No, not one gift for David or Bill!!! I think I'm going to freak out! I don't know why. I think I'll die. I have not even the little stocking stuffer things! I'm going to scream! I'm panicking, just thinking about it. You know, the rapid heart beat, the breathing problems, the whole thing! Anxiety! HELP! Breath... OK, I'm fine, now. I will conquer this. I will change this. This is doable. Right? I spoke to David about it, last night. I said, "David, if you want something for Christmas, you are going to have to tell me what you want! Write a list for Santa, you know?" His reply? "Well, I thought you said we were just doing little things, this Christmas, since you are broke." What? The fact that he thinks Christmas is cancelled is very, very sad and so not true! Christmas MUST go on! David is so difficult to buy for, as he needs absolutely nothing to maintain his happiness. David is just a happy guy. Presents do make him happy, but what presents? He can exist with nothing, and be perfectly happy. Ever since childhood, Andrew would be up at the crack of dawn, waiting to open presents, and David, sound asleep in his bed, telling Andrew, "Go back to bed!!!" Andrew liked things and things and more things!! I had more fun buying for him, because surprises made him happy! He was sentimental over things. David just isn't. I used to be a good present buyer. I put lots of thought into it, and that is mainly because Andrew appreciated that thought. I remember him telling me how good I was at buying "things" for him. I'd search ebay until I found that one Beatles pin he wore on his collar, or the tiny glass elephant (just like Bill's) that he always wanted from 1950. The way they are (or were) is not a bad thing or a good thing. It just was the way it was. I found it challenging and fun to buy for Andrew. But, David is tough! I do have one thing for Bill, but it was mine, and it will be a "used" present, also. I think he will like it? I hope so! Not going to tell you that one, either, due to Bill browsing, here! I have decorated my hot water heater, and every time I walk by it (buy it!) I smile. It was a good Christmas gift for us, and the way it was installed makes me very, very happy! I love my ifish people!!! I have a Christmas tree, and it is all decorated. My home is decorated! Everything looks holly jolly, but there is something missing. PRESENTS UNDER THE TREE! There are NONE! But, but, but... Bill! Bill has everything he needs, and besides that, he has way more resources to fulfill his needs and/or wants. Well, frankly, I think that I need to go fishing. If I were just able to go fishing, I could lower my heart rate and breathe much more easily. My anxiety would disappear, and all would be grand! So, yeah! That's what I'm going to do! And yet again, here I go procrastinating. The fact that I'm going fishing instead of Christmas shopping is how I created the mess of having no Christmas presents, in the first place! I panic about Christmas, until I need to go do something relaxing, just to calm myself down. Perhaps, I should just take one day out to shop, and get Christmas done!? OK! Soon as I get back home to Tillamook and catch a fish or two! While I am fishing, while I am casting, or playing a fish, it will come to me! The perfect presents for David and Bill! I can play two fish with one Christmas cast! Well, I'm already heading back to the city! But, not only did I get some fishing done, but I got some Christmas shopping done, also! Yay! I've not worked much on ifish. In fact, I've been at the computer nearly the entire time, trying to fix the darn thing! I have finally given up. I've probably done more damage than anything! I'm getting a 'Shadow copy error', and the registry is where to fix it. I am not comfortable in the registry! So, dial 1-800- computer helllllp! Every two or three minutes, my mouse freezes. It's not fun! Just thought I'd let you know, and that the river is pretty darn low, even for jig fishing. Not for long! Have you heard that the coast is expecting 7-11 inches of rain, this weekend? Sounds like a hydrologic event to me! Definition: Flooded rivers! It is nature's way to flush all the nasty rotten salmon off the beach. I hear stories of the river banks being so full of dead salmon this time of year, that people in the neighborhood didn't want to walk out of their doors. Sadly, it's not like that, any more. I can count the number of salmon on our entire stretch of river, on one hand. I go pick them off with a gaff and throw them back in the river so that the dogs don't roll in them. It's a nasty job for me, but it's better that, then in my dogs fur! The flood (nature) certainly does a much more effective job, however! Doesn't it always? The first time, he had it so that it made him really ill, and the second time, having already been treated, he had a slight case of stomach ills, but his stool test revealed more flukes than the vet had ever seen! As they tested it, I heard them all say, "Come here! Look at this!" They offered to let me see. "No, thanks!" So, he was treated twice. But, that's not the point, in my case. I just can't stand the smell of rotten salmon in their fur. They love nothing better than a good "shoulder down" into the guk! It's bad enough in Tillamook with the smell of the dairy-air, but now we have salmon-air, too! So.... it's back to the clean air of the city! LOL. What a sad realization that is! I'd rather any-where, over salmon-air! I'm a poet and I didn't know it! Christmas! This is the week of the year when everyone (and their brothers and sisters, Moms and Dads) pack their trucks and trailers into the Wilson river parking lots and go steelhead fishing! On the way to the store, or running errands, I used to like to go to the parking lot and wait and watch for people I know, just to chat about their fishing. I still do, when I have time! It's fun to go to the takeouts and take pictures of people and their catches! It used to be that I'd not like to join the masses, but what a party and why not? I refuse to play into the mentality that I hear so often. "Fishing is no fun, anymore. It's too crowded and too competitive." Sadly, for a while there, I was feeling the same way. But, I refuse! I want to get out there and help other people to learn how to fish and how to enjoy it, despite, and perhaps even because of the crowds that are out there! Heck, bring some extra doughnuts and coffee, and share it with someone else, waiting in the line to take out! Talk to the boat next to you, as you wait to go through a run. Talk friendly, though! None of that, "Get the heck out of my way!" I remember hearing about my Grandfather, way back in the fifties. He was the nicest man you'd ever meet, but he took fishing so seriously! He was doing really well one year at Diamond lake, and found that the Charter boat was following him around. He let them know, rather vocally, that this was NOT alright with him! Grandpa taught me a lot about fishing, but this is not something about fishing that you should ever teach your children! :) I heard this story be told, and I kind of giggled when I heard it. It just seems so out of charter for the man I knew. If he were alive, today, and should he treat others in that way in front of me, I think I'd tell him a different way to approach this situation. I do wonder what Grandpa would think about fishing, today. I wonder what he'd think of the crowds, and the way everyone follows everyone, and their advice on the internet, and in the magazines. Truthfully, I think he'd be one that would write to me and tell me to take the reports down. I get those e mails. I do! And they aren't very often, very kindly written! When I first started ifish, if I were to get something like that, it would most often find me in tears. I was truly offended. It's that feeling of honestly thinking I were doing a good thing, and then being shocked and really hurt, to find out not everyone thought it was a good thing. Heck, once I wrote here about saving some smolts, who were caught in a dammed up river pool, and couldn't get to the main stem. Soon, I feared, the pool would evaporate, and those smolt were going to die. So, my son and I lay belly down in the warm spring sand, trying to net those smolt out with an aquarium net, to save them. I thought it innocent, fun, and honestly a good thing to save those smolt! It was a memory making event with my son that I thought would carry on, and that we, together would remember fondly, forever. But, no! The next day I received an e mail of how nature should take its course, and I was an awful person for doing what I had done. No way! Really? Sigh. No matter what you do, there is always someone opposed. Now, instead of remembering that event fondly, I remember that dang e mail. At least David remembers it fondly as I didn't share with him the opposing argument. You know, I've been having more fun, lately, trying to turn people's frowns, upside down. I get a kick out of it. I love to just say something that makes someone happy. Even if it's just a big smile and a hello, or a compliment about their apparel. It seems that even that is so unexpected these days, that it does make people smile. I was so relieved and so happy, way back when Bill Monroe caught on to how sad the 'fishing party poopers' made me feel, (those people opposed to the discussion board, sharing locations) that he wrote to me. I don't recall exactly the wording, but the point of it was that in order to save our rivers and streams, we need people who love these rivers and streams. They love the rivers and streams, when they learn to fish them, learn to catch fish, and experience that joy! By helping someone out, by sharing information, we can help make that happen. That thought really helped me out. Of course, he wrote it much more eloquently, but I don't have that talent! There is a limit to what you should share, sure. There is much truth in "Give a man a fish and you feed him for a day. Teach a man to fish and you feed him for a lifetime." If you tell someone exactly where to go, and what to use, I think you are giving out too much info, and taking away part of the joy of fishing. Part of the fun of fishing is trial and error (and error and error). To overcome those errors, and finally use your own information, and to catch a fish in a hole that you have discovered is the most rewarding thing of all! So, Grandpa, I can understand that it's frustrating for you to find your way on the lake, and be successful, only to watch the charter boat, filled with "newbies" catching fish, but think of it this way. That charter boat, filled with excited people that perhaps had never fished before, are catching fish because of YOU! Those people will probably remember Diamond Lake with such fondness, that if they were to hear that the lake needed people to sign a petition to, say, "remove tui chub and restore historical fishing", they'd probably be right there to sign it. I can only hope that some day, some where, Ifish has taught someone the joy of fishing, just like my Grandpa did. You know, this year I really thought I would be in the mood for Christmas. I had the Christmas spirit! I really "expected" that this Christmas, I would finally be able to cope well with the loss of Andrew without having it dampen the mood. I have to tell you.... if you have lost a child or perhaps any loved one, never "expect" anything! Expectations are something that cannot be predicted, when it comes to dealing with loss. You can expect a fish with every cast, you can expect a lot of things, but I am learning that you cannot expect that you will ever, ever 'get over' the loss of a child. This Christmas has been the toughest for me, yet. If I can make it through and beyond this Christmas and still have presents under the tree, smile at passers by, and sing "ho ho ho!" to my beloved dog, then I can do anything! It is the third Christmas without Andrew. I can do this!!! Last night, I got a knock on the door well past dark. Christmas Carolers! Oh, how I loved that! But, I shut the door after smiling and thanking them, and tears came fast. I turned around and I saw my living room, all decorated with cheer. It is all so beautiful! I have turned on my lights every evening, and enjoyed them every morning in the quiet of dawn. I enjoy them so much! But, out of the blue, when I think everything is perfect... I smell something, or my mind wanders to a memory and I cry at the drop of a hat! Dangit! I get this sinking sadness that overwhelms me, like nothing before. I have nothing to relate this awful feeling to. I have never experienced it. I wouldn't say I'm depressed, really. I still get up in the morning. I still do my normal routines... but, out of the blue, just when I think everything is great-- Look out! I cry! I live on the premise of "This too shall pass." But, will it? Or is this something I'm going to have to deal with forever? Along with this sadness, though, I have these awesome memories of my wonderful experiences as a young parent of two sweet little boys. I think it is that old ying yang thing, where you experience the joy of the most awesome memories, and it flip sides to the saddest feeling of loss. The sweet memories matches the sadness of loss. I may have lost Andrew, but those memories are mine, and no one can ever, ever take those away! This year, I'm really into my Santa Claus ornaments. They remind me of childhood, and how excited my boys were, if they ever saw Santa. Oh, I loved those days! Santa Claus is pure joy, and that is forever, too! I can't say that I am not enjoying this Christmas. I'm saying that it has been one of the most emotional Christmases I have experienced. I think I'm finally feeling things. For a while there, I'm sure I blocked out a lot of my feelings, as they were too difficult for me to deal with. This year, I'm dealing, and I find that to be progress! 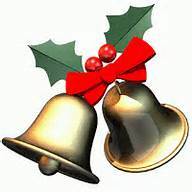 It is Christmas eve day! Despite the loss that might live in any adults heart, I hope that like me, you still feel that child in you looking so forward to Santa Claus coming, tonight! The Oregon City home is built for one. But, last night, Revvie, Willie, Bill and I all packed into one queen size bed, and settled down for a long winter nap! Geemany it was crowded! I kept waking up with dog foot in my face, or wagging tail on my back. I couldn't help but giggle all night long. It was kinda fun! I slept pretty well, too! Well, it's off to make a grand Christmas breakfast, presents, and then a feast over at my sisters! Merry Christmas to all! And to all, a good steelhead fight! Had a pretty darn nice Christmas! How bout you? This is the time in which I can really sit back and enjoy Christmas. You know, after the frenzy! The tree is still lit, and I have all the goodies to eat, but none of the stress and worry over things! I think I'm heading to the coast, today. That will be even nicer! On Christmas eve, Bill came over with Revvie. Due to my upbringing, Christmas is clean. Let me explain... Every weekend, or even the first day of vacation from school, all of us five kids would be trying to sleep in, in the morning, when the stair door would open and my Mother would yell upstairs, "Christmas is clean! Get up!" Argh... And now, I've become that person. Yikes! Oh, how I wish I were more relaxed. My ex husband was a great role model for relaxed. He got to enjoy the kids, because he had the ability to make cookies with the kids and have flour all over the floor, the cupboards, everywhere!- and still have fun. I would worry and freak and start cleaning, and be grouchy about it. Jeff? He'd be singing carols while the kids stuffed dough up their noses. But, you know what? He had SO much more fun, and that flour, it got cleaned up! And those boys? They don't have dough in their noses, anymore. Why couldn't I just let leave be, and have fun? I really want to be that person, but thanks to my Mom, I just can't! Andrew, up till the very last, could make pierogies and have flour all over the kitchen and just have a ball. I'm so glad that both boys grew up without the insane need to be tidy. I used to watch Andrew in the kitchen, and think, "I want to be that person..." As much as I am irritated by their mess, I do see the benefit. Anyhow... back to Christmas... Willie had a slumber party on Christmas eve. Bill brought Revvie! My yard in back was a mud pit, due to the recent rains, so after my intense week of cleaning house, my wood floors immediately collected all of the mud from the back yard. Freak out! The dogs brought all of that mud in the house! All of the time cleaning was wasted I spent! My bedspread! My curtains, all covered in mud! Oh well... I mean, I tried to say "Oh well"! I did! i even practiced the words, but they came out at a rather high and loud pitch. I only lost my temper a couple times. That's not bad for the stress of Christmas! We really did have fun, though. Bill and I, a black lab and a springer all in a queen sized bed, together. We actually slept pretty well! We got up pretty early, made coffee, and took the dogs out for a run. Then, we woke David, who had settled in for a long winter's nap. I think he'd be sleeping still, had I let him! Oh, to be able to sleep through everything and just be relaxed... I want to be that person! We opened our gifts, and David and Bill had a great time, as I ran around tidy grabbing bows and sticking them in a box for next year. After that, we had our sites on 1 PM to be at my sister's for her Holiday bash. Oh, man, what a spread they put on! Prime rib, turkey, salads all over, and the most awesome rolls in the world, and chocolate eclairs after, oh my! Food! Food! Food! Yes, she is my Mother's daughter, also! However, she goes beyond many steps. She is not only clean and tidy, but she is the Mother of the entire heard of the Logsdon family, now that our Mother is in Heaven. She can cook and put on a feast for 25, without stressing out! Oh! I want to be THAT person! Unfortunately, I start being that person, and then I get cranky and tired! Dang. I look up to my sister, as if she were hero. She is! She just is! Everyone adores Teri. If you ever need a family recipe, call Teri! She most likely has it memorized, too! If you have a problem, call Teri. If you want to cry, call Teri! If only I could learn and practice what that yoga site was preaching. Something about "presence over presents". You know, the good Yogi knows that the gift of your presence amongst people; friends, family, is the most important thing. It is! They are SO right! And here I am, all stressed out, running to meet Craigslist people with this present or that, telling family to be quiet, while I order this gift off of Amazon, etc... means that I am missing the most important thing of all! My presence, amongst friends and family! I was invited to go to Bill's brothers home on Christmas eve, and I was just too tired. I missed the presence of his brother, because I was too busy and tired buying presents! Well, I did good, anyhow. The presents I bought from here or there, were thoughtful and fun, and we had a good 20 minutes of my presence, watching them open their presents! Meanwhile, David went shopping for all of his presents on Christmas eve day. While I was frenetically wrapping presents for a week, his still remained unwrapped, Christmas morning! That's just the way he is, and let me tell you, I don't want to be that person! At precisely 12:30 PM, one half hour before we had to be there, David was in the garage, wrapping presents. At 15 minutes till departure, he was looking for one of his shoes. It was probably buried under three feet of dirty clothing, somewhere. He can smile through that fact! Despite my insane punctuality, we were going to be late. I tried so hard to remain calm, but that was one of the times I lost it. David finally made it to the car, wearing slippers, instead. He bravely got in the car with me, and adding to my frustration, he sarcastically said, "Merry Christmas, Mom!". Late as usual, and David still hadn't wrapped all of his presents. He still had one to wrap to take to our family gift exchange. So, he asked me if we could kindly stop at the store for a gift bag. WHAT? We made it to the party, late, but we made it and no one was worse for the wear. Finally! A time where I can give everyone there, my presence! It was so nice! My sister was in control of everything, and we all got to visit, and to share, and to look into each others eyes, and just be present! I played the piano with little Ms. Olivia, a darling little Logsdon toddler! I got to hold two year old Jack, and the newest edition, three week old little Hannah! You know, there really is something to this "presence" thing, and I think next year, I'm going to delve a bit further into it. So, my New Year's resolution is this: I'm buying into the "presence" thing. I think it's a wonderful Birthday gift for our Heavenly Father, to give love to my family, rather than material goods. I had a little hissy fit on the board, this morning. I woke up tired, and with a bit of a Christmas cold, but mainly... I just get so tired of having to read people's comments about "the ifish police". And they aren't funny. They are rude. I mean, the moderators get nothing for what they do, and I try to thank them from the bottom of my heart for all the grief they get from members, but it's just so hard, when they daily have to deal with insults. And I think the insults are totally misdirected. They do what the alerts from the members say to do, and no matter what, someone is going to be upset about what they were asked to do. They only do what upholds the rules that you, the member said should be a rule. The rules were written by and for the members, by and from the members! Take for example, that we have a policy to uphold to make sure members sign complaints. That's because people with personal agendas come onto big websites to complain about a personal problem, and say nasty things that may or may not be totally true. 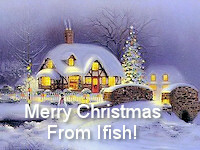 Often times, the business or person who the complaint is about, is not present on ifish. That's just not fair to them! So, we have a rule that all complaints must be signed. That's the least we can do! So, we ask that member to sign, and the member gets mad and calls us the Ifish Police. Our moderators are awesome! I know them personally and it's so awesome to see how much they care about ifish that they do their work, putting up with this kind of nonsense! I frankly don't recall the last time someone thanked them for their service. So, this is me. I wish I were more than one, but I would like to personally thank them for doing what they do. For standing up for the rules that the members created and called for, despite the cat calls from the crowd. We are not the ifish police. We are the people who care about ifish and the community enough to put up with rude comments, and keep doing what we are doing! We give up much of our free time to make sure that your voice is heard. Even when you are criticizing our actions! I started giggling this morning, thinking of things I have been through, since living in Tillamook. I was looking out at the meadow in front of me and saw a bunny. I giggled. Sick of me, but yes. I giggled. Many years ago, I was sitting at this same desk, with my bare toes under the table. It was probably Spring or Summer, because I was barefoot. The dogs always go under the desk, here, and often times I rub my toes on their soft fur. That is what I was doing, as I worked on that day. So soft! So furry! In fact, softer than normal? Weird. I kept working. I figured it was probably Kilchis. Kilchis was soft, furry, but man he was soft. Was this kitty under my desk? I leaned down close, and peered under the desk. I had to get very, very close, due to the darkness and my lack of good eyesight. "Billlll!" I shrieked. "There is a dead bunny under my desk!"